Receive the Free PF Newsletter! Receive the Free P&F Newsletter! Flavor! Fragrance! Read all about it in the P&F daily newsletter. 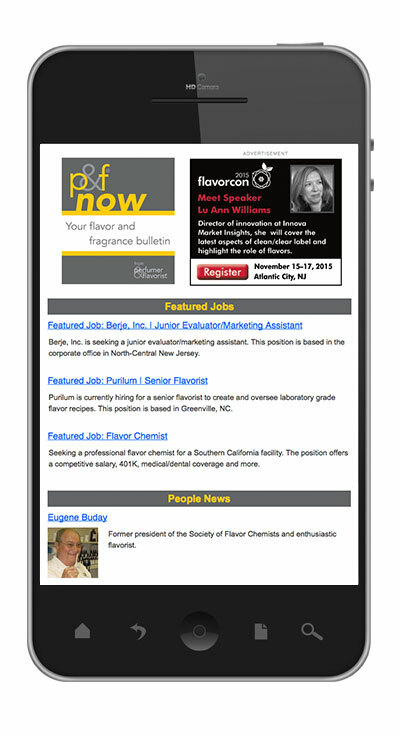 The P&F newsletter delivers daily flavor and fragrance news straight to your inbox. Stay up to date on the industry buzz by subscribing today.